Do you have A 2019 Sustainability Plan? 2018 has ended and it is now time to look forward. Do you have a 2019 Sustainability Plan? What is a Sustainability Plan? A Sustainability Plan is a specialized report that outlines EXACTLY what an organization needs to do in the coming year in order to improve sustainability performance across all operations. The Sustainability Plans we create outline WHERE YOU ARE AT RIGHT NOW and WHERE YOU CAN BE IN A YEAR. View a Sample Sustainability Plan HERE. (The sample report contains 1 business category out of a possible 28 categories). Using CurrentState™ saves considerable time, money and resources. Depending on your organization, a plan can be delivered in as little as one week. Prices for Sustainability Plans range from $500 to $5000 depending on the size and scope of operations. CurrentState™ has the products and services to help organizations improve sustainability performance. At the heart of all CurrentState™ products and services is the Sustainability Management Framework (SMF). The SMF organizes sustainability into three main categories (Green IT, Business and Facilities) and over 25 sub-categories. By using the framework, CurrentState™ ensures that no stone is left unturned and analysis is always comprehensive and consistant. Inside of the framework are a database of over 1600 Sustainability Best Practices. Best practices are drawn from multiple sources including the leading sustainability standards such as LEED, GRI, CDP and Practice Greenhealth. By examining and documenting an organization performance in these best practices, CurrentState™ products and services can perform a comprehensive Gap Analysis (compares a company's sustainability activities against all possible activities) and a Maturity Analysis (documents the extent activities are being conducted). This powerful combination allows for a wide range of data analysis, use of analytical tools, powerful charts and graphs and the ability to compare apples-to-apples across locations and departments. CurrentState™ Sustainability Reports deliver powerful business intelligence. Your report will contain quick wins, recommendations and expert analysis for over 25 business sustainability categories. CurrentState™ Sustainability Reports contains a wealth of useful information. Here are some of the most important elements. In-Depth Analysis - CurrentState™ scores an organization's performance across over 25 business categories. It highlights detailed performance data that includes task lists, maturity metrics and gap analysis. Clear, Concise Charts & Diagrams - The Findings Report contains beautiful, easy-to-read and boardroom ready charts, graphs and task lists. A roadmap of the specific steps needed to improve performance - Reports include Quick Wins and Recommendations of specific steps and initiatives that should be considered or completed. Compare Different Locations, Apples-to-Apples - CurrentState™ can help bring an entire organization together. Different locations will be able to communicate using exactly the same data, metrics and practices. No two companies are alike. The same is true for sustainability programs. Therefore we offer different versions of the sustainability report to better reflect the size and sophistication of your organization and program. CurrentState™ Small Business Report - Ideal for smaller businesses or companies with new programs. CurrentState™ Standard Report - Ideal for small to medium sized companies with an existing sustainability program. CurrentState™ Enterprise Report - Ideal for large companies with an existing sustainability program. CurrentState™ Enterprise Plus Report - Ideal for larger companies that are considering using LEED O&M, CDP or the GRI. bringing all the business categories of sustainability together, into one structure. CurrentState™ is based on the Sustainability Management Framework™ (SMF). The SMF organizes sustainability into 3 main categories: Green IT, Facilities and Business. These categories contain over 25 more specific sustainability business categories. Every area of sustainability that could effect your business, together, in one structure. Simple, clear, powerful. Information technology is an often overlooked but critical component to any sustainability program. 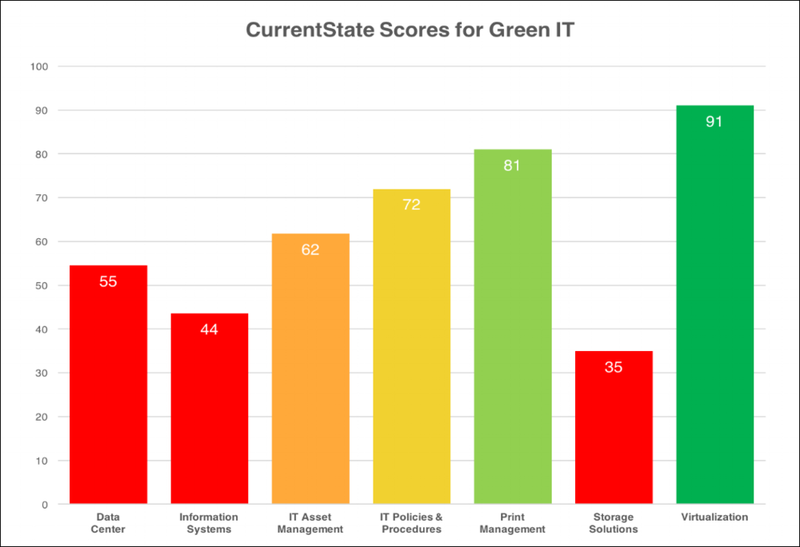 The Green IT section identifies best practices across your entire IT estate. Critical issues in IT include energy conservation, paper usage and e-waste. The Facilities section covers all of the sustainability issues associated with operating and maintaining your organization's property. Proper management of facilities can have a significant effect on energy usage, waste and the health and well being of occupants. The Business section covers all the sustainability categories involved in operations, such as the creation and delivery of goods and services. This category also covers employees relations, supply chain, environmental issues, the community and society. 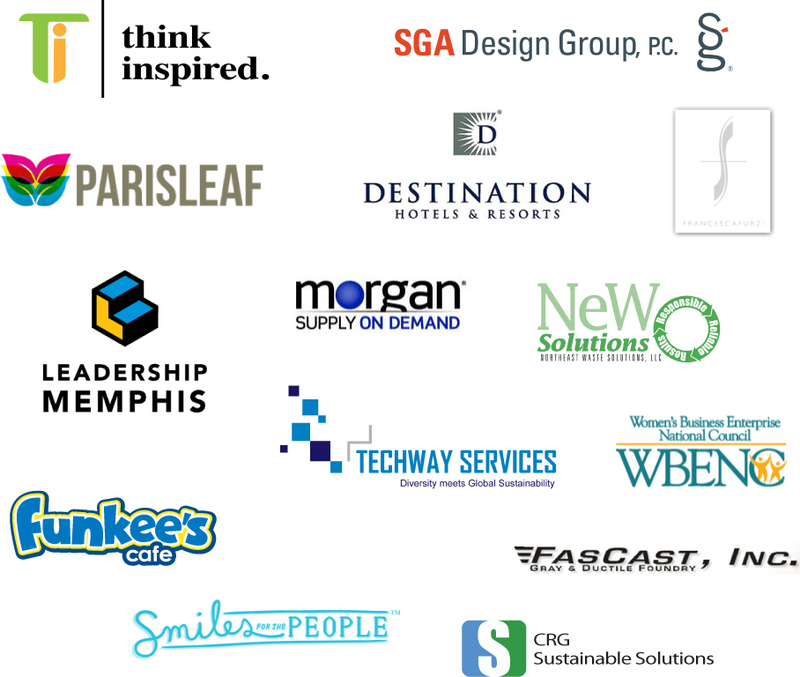 CurrentState™ helps organizations speak the same sustainability language across all locations. When different locations are using the same metrics and practices, it is possible to compare 'apples to apples'. This will make analytics more meaningful, the implementation of global standards and practices easier. Testimonials from our rapidly expanding group of satisfied clients from around the world. We have been very fortunate to have such incredible clients and collaborators. "The CurrentState survey completed for my property was not only a top to bottom evaluation of our current practices. It was a tool that looked at our operations and made real-world suggestions on improvements that were not only beneficial to our business but sustainable. Throughout the survey there was recognition of our current 'green' programs and efforts and data that supported the further strengthening of these internal processes to drive our efficiencies." "I would highly recommend CurrentState for any company exploring sustainability. The very latest best practices and standards are built in to the audit - this delivered huge value to us." "CurrentState is necessity for every company that is serious about going green." "The CurrentState Findings Report gave our team an opportunity to examine the great strides we have already made in our sustainability efforts as well as the changes that we still need to make to improve our green initiatives." "As a new startup with an eye towards environmental responsibility, Smiles for the People will benefit in a variety of ways from the CurrentState sustainability audit. The insights we gained will help us continue to fully integrate sustainability into every business practice. Using our first audit as a guide and baseline, we will surely come back to CurrentState as we grow." We are a DIVERSITY supplier. Contact Us to find out more.